Afternoon Tea is unmistakably a truly British custom known worldwide, with origins in 19th century England. The History of Afternoon Tea credits Anna, the 7th Duchess of Bedford. Dinner was served around 9 pm which left the Duchess hungry and to stave this, she would order tea, bread, and cakes in her room. The habit caught on and afternoon tea was born. A traditional tea starts with finger sandwiches, followed by scones with butter, jam and or cream, then cakes and, of course, tea. 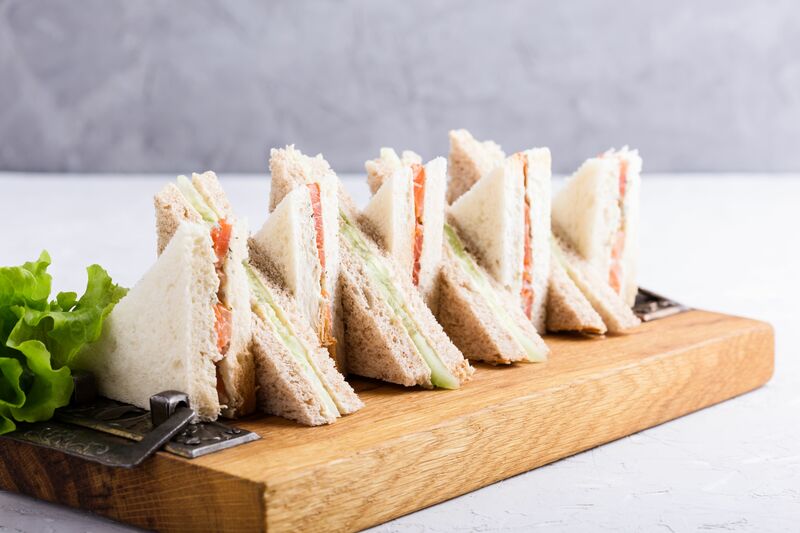 Afternoon tea starts with simple sandwiches which are usually made with thinly sliced bread and often with the crusts removed. There will usually be both white and brown bread sandwiches. Buttered bread with thinly sliced, cucumber. Super light, warm traditional scones follow on from the sandwiches. The scones can be plain, fruit, or cheese. Plain or fruit will demand both butter, jam and or cream, and for the cheese, serve alone with butter. The final course in a traditional afternoon tea is delicious cakes and tarts. This includes slices of a large cake, cupcakes, or small iced buns (also known as Fancies) and depending on how hungry or decadent you feel, a slice or two of a tart. There are traditional recipes for an afternoon tea, and there are, as always, those untraditional recipes with quirks of local tradition, family customs, or personal taste that involve recipes outside of the norm. Some, often in Scotland, will also include a savory dish, nothing heavy just a snack type dish to balance all the sweetness. Britain and Ireland drink more tea than anywhere else in the world and it's no wonder that it's the focus of an afternoon tea. Tea in Britain and Ireland is almost an art form. Sure, there's the throw-the-tea-bag-in-the-cup method, but for those that really appreciate an afternoon tea, getting the drinking part of the tea right is paramount to its success. Do Your Hinnies Sing? And, Do They Taste Good?